There’s a new mystery magazine in town. Comes from that country with just two seasons, winter and mosquitoes. Got some scorching hot writers who already won some awards, like them Derringers, Arthur Ellis Awards, Hugos and Nebulas. Thought I’d go check it out. First I caught the editor. What made you decide to start Sleuth Magazine? Editor Constantine Kaoukakis: I am a mystery fan, and I realized there isn’t a mystery magazine published in Canada. Publisher Diane Walton (President of the Copper Pig Writer’s Society): Canada needed a magazine that could showcase home-grown writing talent. Constantine: However, our magazine accepts and publishes stories from any country as long as it is in English. What kind of stories are you looking for? How did you choose the authors and stories for the first issue? Constantine: I am looking for interesting stories that are original yet have some sort of mystery element. Diane: For the first issue, we invited authors that we knew could deliver a good story, but if and when we open to new submissions, it will be to anyone who wants to send us something. Basic need is for a compelling tale of mystery or suspense, with engaging characters. Do you have any funny/challenging stories about putting together the first issue? Constantine: It was more work than I imagined, but I love it. I am proud of the first issue. I would like to thank our sister magazine On Spec for help. Diane: We were fortunate to have a great designer to put the final product together in time for our launch. Subeditor Barb Galler-Smith: I was very impressed with the two stories I helped to edit. Made me think I should try reading and writing some mysteries, which I haven’t read since I was a callow youngster! It was a joy! How will future issues be different? Constantine: We could be including artwork. Hopefully, we will have a print version of the magazine depending on sales. At this point, I am hoping that there will be future issues. Diane: We want Sleuth to be self-supporting–without depending on grant funding. So we’ll need revenues from subscribers, advertisers, and generous benefactors to make this happen. How can we help Sleuth Magazine and other mystery markets thrive? Constantine: We need to get the word out. We need more exposure. The more people buy and read our magazine, the better chance we have to continue publishing. Diane: Word of mouth is our best friend, so when you read something you like, simply tell all the like-minded people in your network. Constantine: Our first issue is in digital form, only $2.99 and filled with mystery short fiction by mystery writers. Please go to sleuthmagazine.ca to buy a copy of the magazine in pdf, mobi or ePub. I hunted down a few of them writers. Not too hard. They like to talk. Give me a few words about your story. 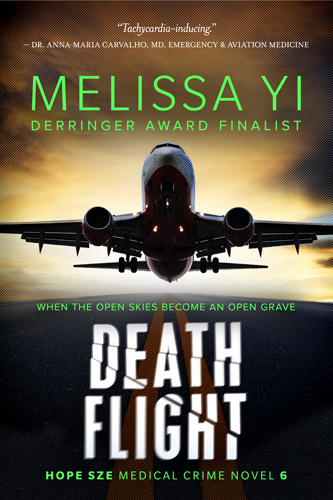 Melissa Yi: Whenever I write a mystery, I’m always asking the question, Could I commit murder? And if so, why? Edgar-nominated author Kristine Kathryn Rusch and Dean Wesley Smith asked me to write a story about janitors as a class assignment. They were trying to shake me up because superficially, maintenance doesn’t have much in common with my day job of emergency medicine. But we’re alike under the skin. The title THE WAR OF THE JANITORS sprang to mind, and I immediately fleshed out a story about janitors trying to sabotage each other in a school seething with jealousy. SG Wong: My short stories are all set in fictional Crescent City, and they always centre on a character other than Lola Starke (the protagonist of my novel series set in the same world). THE FIX takes place years before the action in Die On Your Feet (Lola’s debut) and revolves around her father, Butch Starke, and his beginning as a studio fixer. Axel Howerton: It just so happened that I was looking for an excuse to try something with a new character, mixing true crime and hardboiled/noir elements in a short story set in early 50’s L.A.—so I gave it my damnedest and GOODNIGHT IRENE is the result. I wanted to do something dark and nasty, in the noir mold. It’s kind of an homage to James Ellroy. My story’s main character, Moe Rossi, is the oft-mentioned grandfather in my book, HOT SINATRA. Moe is already dead by the events of the book. I really wanted to do something with him to flesh out his legend. Tony Stark: In my tale, Watson must find his son’s Afghani mother when the boy shows up on the doorstep of 221B Baker St. In the course of the story, Watson reveals in more detail the circumstances of his military service in Afghanistan. He and Holmes also crack a ring of antiquities smugglers and human traffickers to boot. P.S. My Social plugin broke a few months ago and no longer displays likes and comments through Facebook or Twitter, so if you ever want to kick it old school and like or comment on the blog directly, I’d appreciate it! I’m also trying a new plugin (Jetpack).